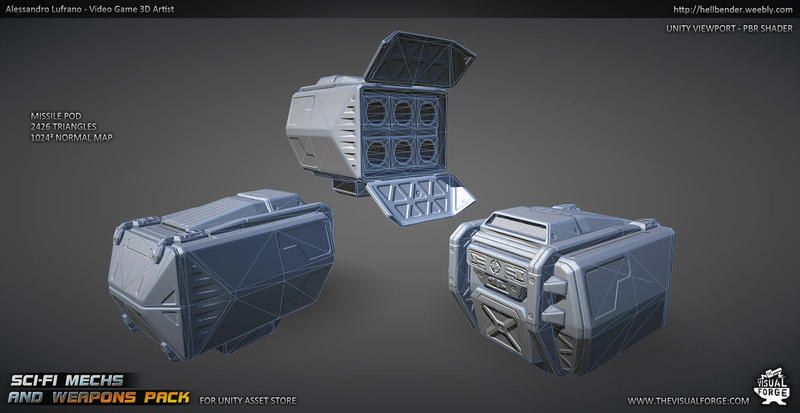 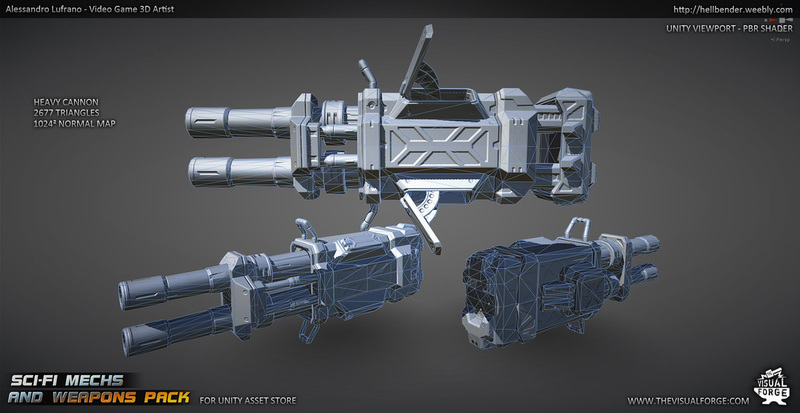 These models were created for a package currently sold on the Unity Asset Store. 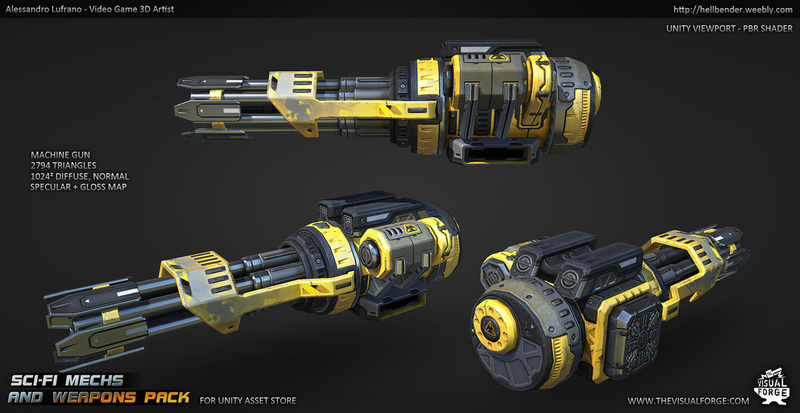 I worked on two mech models and four weapons. 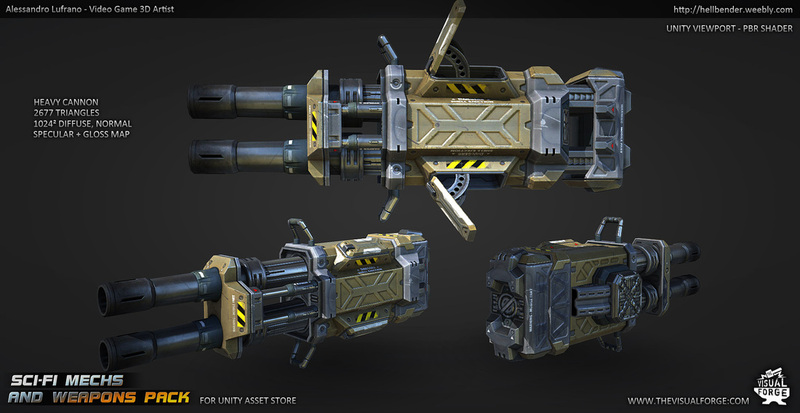 I also created special effects and scripted the behaviour of some of the weapons. 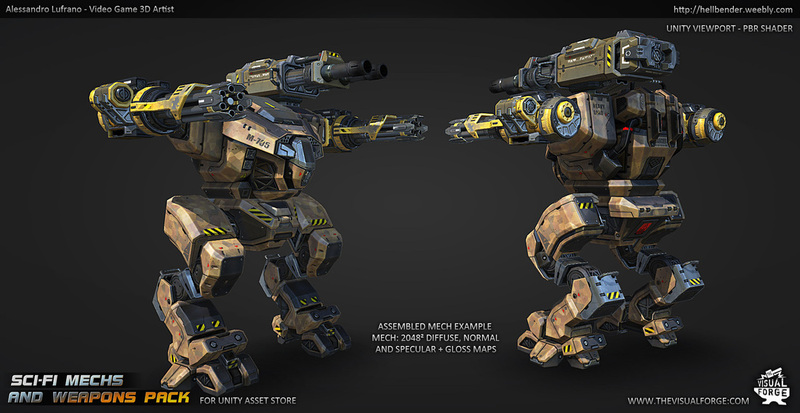 Mechs were also rigged and animated with basic movement clips. 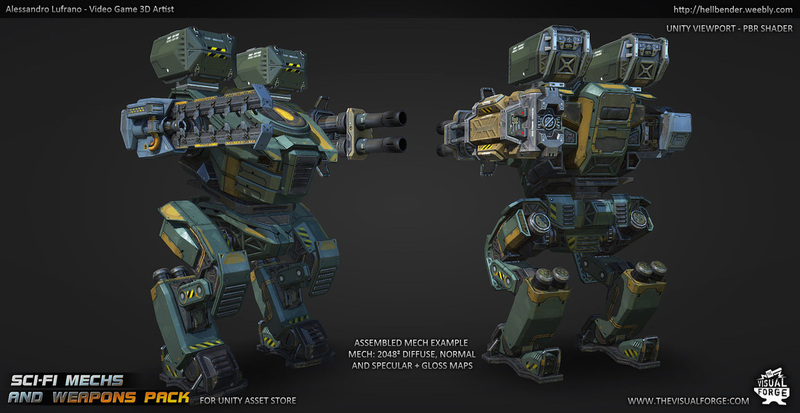 Mechs and weapons design was all made by me. 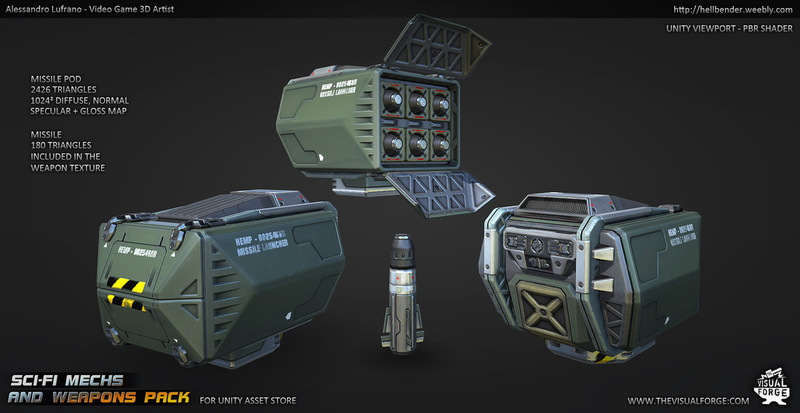 Software used: Maya LT, Photoshop, XNormals, Ndo2. 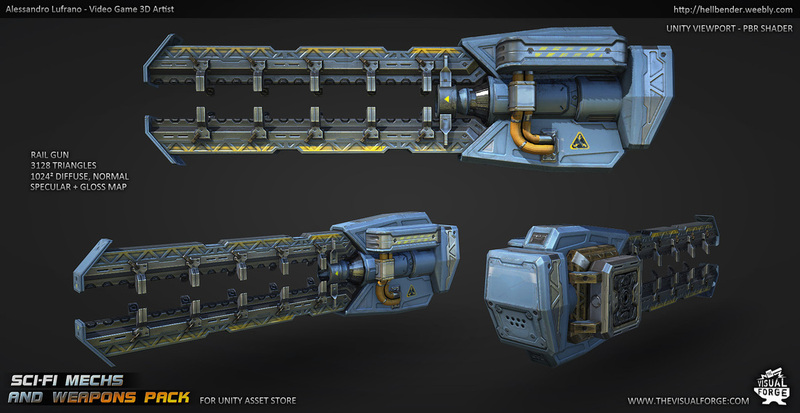 An interactive web demo is available here. 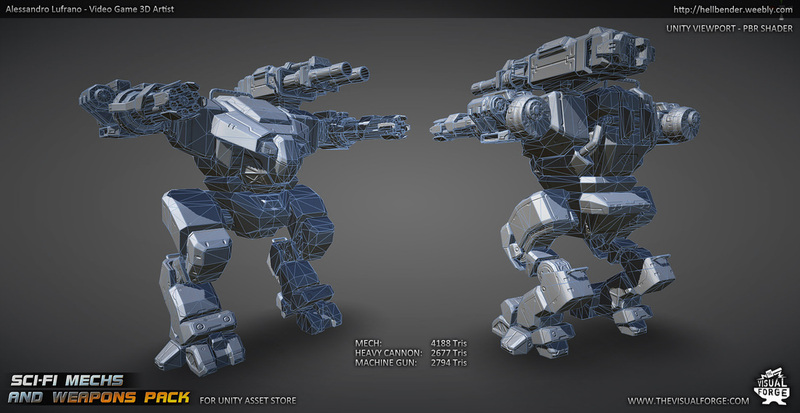 ﻿It requires Unity 3D Plugin to run properly. 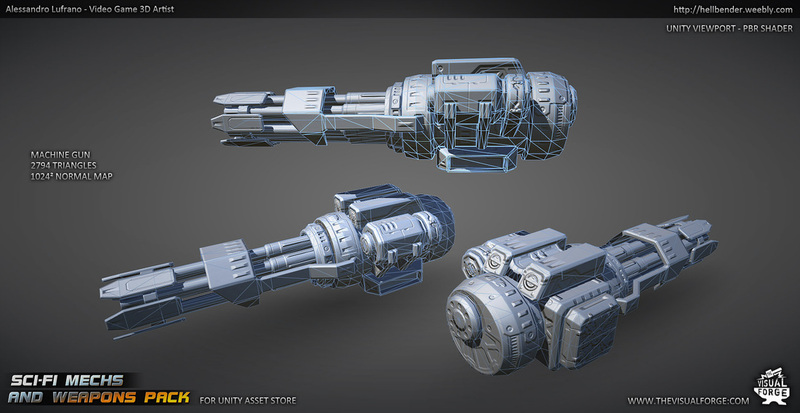 ﻿The demo uses standard NON-PBR Unity shaders (reflective bumped specular, with a simple cubemap). 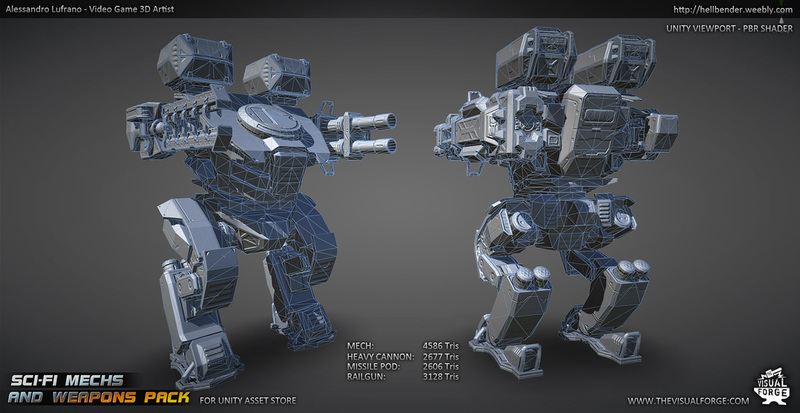 Following are the two mechs I worked on with a sample loadout. 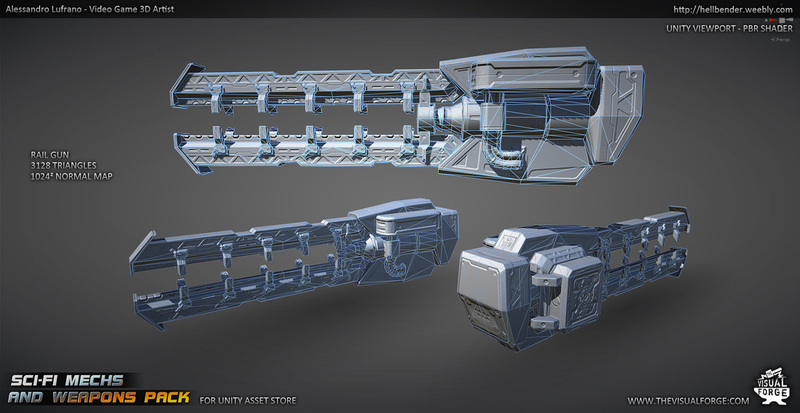 Following are the weapons I created, with relevant wireframe snaps.